With daffodils sprouting up and springtime in full swing, we’re happy to spring up a new upgrade for HootSuite for Android! Update your hand-held robot on the Google Play Store. Plus, read on for news about push notifications and a little Robot Rock. 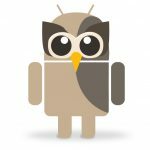 With the ability to search, schedule and track stats, HootSuite for Android has been helping wise owls manage their social media since March 2010. If you haven’t already, give it a try – it’s free! With the latest update to HootSuite for Android, you can expect all the same functionality – managing Twitter, Facebook, LinkedIn and Foursquare – but with increased performance. We’ve rejigged the platform with bug fixes, speed upgrades and a new Facebook Wall stream. Visit the Google Play Store to download the free app or update to the latest version. Back in February 2012, we released a Push Notification Beta on HootSuite for iPhone and HootSuite for iPad. It is now out of private beta and available to all iPad and iPhone users. Depending on which HootSuite plan you have, you will be able to receive alerts on your iOS device for multiple Twitter accounts, including mentions, direct messages and more. Not wanting to leave our Android users feeling left out, we plan to make the feature available for Android soon! Keep an eye out for the feature in the near future. You can follow @HootDroid for the latest updates, news and tips on HootSuite for Android. And remember, HootSuite for iPad was nominated for a Webby Award last week. Help us take it home by voting for HootSuite. Our owls don’t just hoot… They also rock in a big way! 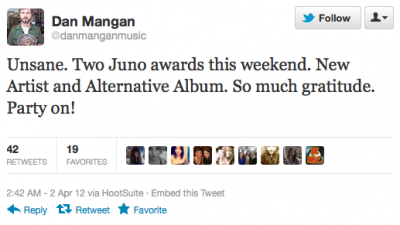 A huge congratulations to talented singer-songwriter and HootSuite user, Dan Mangan, on his recent wins at the Juno Awards (who also use HootSuite). Dan, who provided the lovely and fittingly-titled song “Robots” for our Android app launch (see above), took home the New Artist of the Year and Alternatives Album of the Year awards. How do you hoot? HootSuite offers the social media management dashboard on a number of different platforms – web, desktop and mobile. With 15 languages localized for these platforms – you can use the dashboard wherever you want, in (almost) whatever language you want. Don’t see your language? Contact us to become the next translator or coordinator for your language. Do you have ideas for our mobile apps? Let us know on our Feedback Channel. 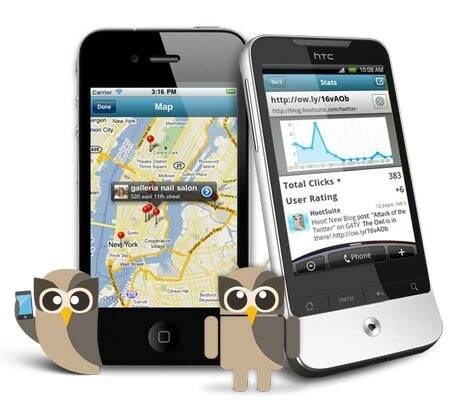 HootSuite has individual channels for iPhone and iPad, Android, and BlackBerry. Whether it’s a new feature, integration or interface tweak – your feedback has helped shape our roadmap and continues to.